Are you convincing yourself that your favorite pair of jeans has shrunk or is it that your belly appears to have a mind of its own thanks to all that belly fat? Chances are you are nodding in agreement to the latter. Most of the time, the main culprits behind excess belly fat are the unhealthy eating habits, a sedentary lifestyle AKA being a couch potato and drinking too much alcohol. Are you one of those people who has lost all hope about losing belly fat? Don’t fret! We are here to guide you with all the information on how to lose belly fat. Whether you call it the muffin top or jelly roll or tire, there’s no running away from the fact that there is excessive belly fat around your abdomen. As people enter their middle years, the fat in the mid-section tends to increase. However, excessive belly fat comes with a lot of health risks- breast cancer, type 2 diabetes, cardiovascular issues, sleep apnea, high levels of triglycerides and metabolic syndrome. The accumulation of fat in the abdominal area is influenced by various factors which include hormonal changes and genetics. When the cortisol levels rise, we tend to gain belly fat. The main factor which also contributes to high levels of cortisol release is stress. The increase in the secretion of cortisol leads to the breakdown of lean muscle and holds onto the fat situated in the abdomen. So even if you are doing thirty crunches a day, but follow a not-so-strict or improper diet routine, the fat isn’t going to part ways with you so easily. Read further to find out the effective ways in which you can get a flatter belly in no time! Ways to get rid of stubborn belly fat? 1. Say NO to sugar and YES to protein. Sugar makes up the perfect recipe to weight gain- belly fat disaster. Sugar is composed of fructose and glucose molecules. Glucose plays a vital role in our metabolism. However, fructose is not of much importance. In fact, very few cells in our body make use of it. When there is excess consumption of sugary food items, the body metabolizes and stores it in the liver. It is then converted to fat and seen in the form of belly fat. When it comes to macro-nutrients, protein is the most important to shed the extra pounds. Proteins reduce your hunger cravings by almost sixty percent and boosts metabolism as well! The major reason to make protein an essential is its ability to protect you against insulin resistance. As the insulin production in the body increases (with age) due to a high-carb diet, the tendency of our body to store fat also increases. This is where protein comes to our rescue-as it protects us against insulin resistance(increase in blood sugar). If you are merely mustering five to six hours of sleep every night, then that isn’t good news for your health. Sleep deprivation not only affects the cognitive processes of our body but also increases the risk of cardiovascular diseases and yes, belly fat! There is a close relationship between lack of sleep and appetite. According to WebMD, people who sleep less than six hours a day are thirty percent more likely to become obese. The activity of an appetite suppressing hormone, Leptin decreases after six days of sleeping for less than four hours. This tends to stimulate hunger and the desire to consume calories more than the body requires, leading to the increase in the body weight. Think, every time you are sleep deprived, you might find yourself reaching out for extra cups of coffee or sugary snacks to compensate for your lack of energy! 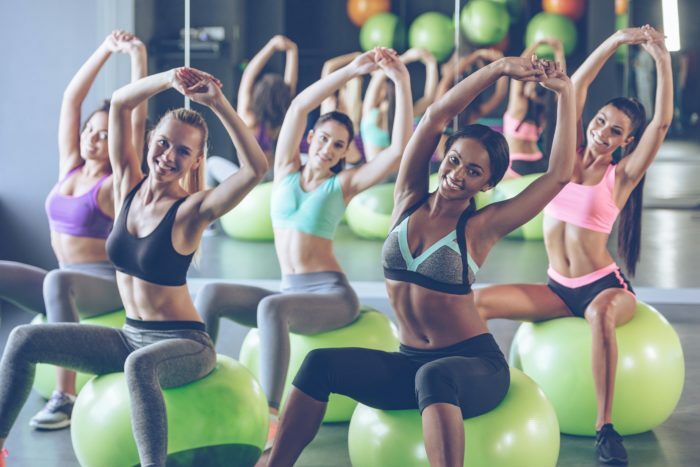 There is one thing that we can all agree to-visceral fat can be easily reduced if you incorporate any aerobic exercise into your daily routine. Burst training is considered one of the most effective methods to melt the belly fat. It involves doing exercises that increase your heart rate a hundred percent for a short interval of time followed by thirty to sixty-second rest. Pick any exercise-running, swimming, biking, high jumping or squats. Incorporate a minute’s set of a high-intensity workout. The force required to curb your momentum and the transition from full speed to a halt boosts your fat more compared to an hour of “marathoning” on the treadmill. According to experts, water is vital to regulate the metabolic rate and fat-burning mechanism. Basically, everybody function is dependent on water. There is no another substitute. Even a two percent drop in the total body water triggers fatigue, dizziness, general discomfort, and mental deterioration. Drinking at least eight glasses per day will help you run and work out more efficiently. Also, water helps flush out the toxins, keeps your skin clear and glowing and also works wonders for getting rid of that unwanted belly fat. Whether you are trying to lose that belly fat or shed those unwanted pounds, gain muscle or focusing on becoming lean, certain foods should be avoided before bedtime. While you are sleeping, your body burns off the food from the dinner you just had. The consumption of mid-night munchies especially any spicy or junk food creates havoc to the calorie-burning and metabolism process as well as increases the risk of health issues such as acid reflux, changes in the sleep pattern and lethargy. To avoid any cravings or hunger episodes, have a nutritious and well-balanced meal at dinner time. Eating the right type of food at the right time will satisfy your body’s requirement for fuel and hunger. Did you know that there are certain foods AKA superfoods you can eat to help the fat melt away? These superfoods naturally increase your body’s ability to burn fat faster. Nuts: The consumption of nuts in moderation (walnuts and almonds) is a great way to suppress your hunger. Nuts are known to keep you full for a longer time, giving you many nutritional goodies like fiber, protein, (healthy) fat and omega-3 fatty acids(in walnuts). Oats: Instead of eating a bowl of white rice, replace it with oats or barley to shed the extra pounds on your tummy. They are rich in soluble fiber and don’t raise the insulin level as much as rice. Your body burns twice the number of calories during the breakdown of whole-grains than processed food items. Green Tea: Green tea is packed with anti-oxidants(catechin) which aids in increasing the rate of metabolism in the body as well as prevents cancer and heart diseases. For best results, drink four cups a day. According to the American Journal of Clinical Nutrition, people who consistently followed this routine were able to lose more than seven pounds in just eight weeks. Eggs: Make eggs your BFF for life and fight away the belly fat. Yes, that is true. Eggs contain proteins, which increase the metabolism and as a result, your body burns more calories. If you have a high cholesterol, you can skip the yolk and just have egg whites. Include protein as much as you can, especially during breakfast. You will have fewer cravings, thus helping you satisfy your hunger pangs. Lean meat and fish: Lean meats such as turkey, chicken and pork tenderloin, are rich in protein with a low amount of fat. Not only does it satiate your appetite, but also boosts your metabolism, fights inflammation and builds muscles. If you are looking for an excellent source of high-quality protein, vitamins, and minerals, then incorporate salmon into your diet at least twice a week. It is packed with omega-3 fatty acids, vitamin B12, and vitamin D.
Blueberries: These tiny berries have a lot of fiber, antioxidants, and nutrients (vitamin K, vitamin C, and manganese). It has polyphenol antioxidants that affect particular genes which regulate fat metabolism and promote weight loss. Apart from acting as a belly fat burner, it has many cardiovascular benefits-lowers triglyceride level, reduces cholesterol and regulates the blood sugar level. The recommended serving of blueberries for health benefits is about one to cups per day. Low-fat dairy: Research states that reduced fat milk which contains only up to two percent or no fat helps to lose the subcutaneous and intra-abdominal fat the fastest as compared to whole milk. Milk is rich in calcium and vitamin D which also helps relax muscles and its fiber. An interesting study proves that milk helps reduce the risk of heart strokes by lowering high blood pressure and alleviates PMS symptoms. A healthy diet combined with moderate amounts of exercise will ensure that you lose that excess belly fat and get that lean trim abdomen that you always craved for. Thanks for sharing excellent informations. Your website is so cool. I am impressed by the details that you have on this blog. It reveals how nicely you understand this subject. Bookmarked this web page, will come back for more articles. You, my friend, ROCK! I found simply the information I already searched all over the place and simply couldn’t come across. What a perfect web site.